All prices are in US dollars and shipping costs will be shown in your shopping cart. This shop uses Paypal and accepts all major credit cards. 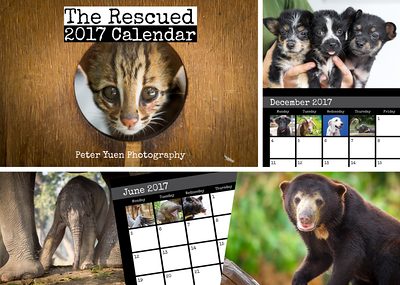 The Rescued Calendar features 12 beautiful photos all taken in the past 12 months for charities on the front lines of animal welfare in Asia. 50% of the proceeds from this double-A4 wall calendar go to this year's calendar charity, the Bodhi Shelter. 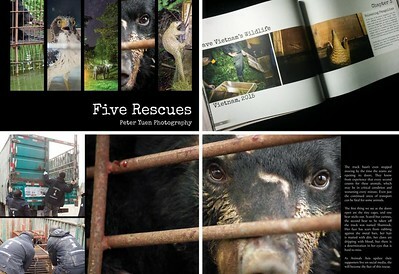 Five Rescues is a collection of amazing and uplifting stories from five charities in five different countries across Asia for you to follow closer than ever before. 50% of proceeds go to the charities featured. 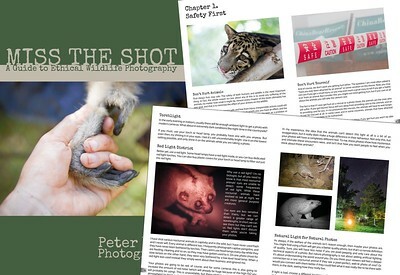 This FREE eBook is as a guide to photographers new and old, who work with wildlife or want to in the future. Working with wildlife starts with respect for the animals, their wellbeing is more important than "getting the shot". This book is here to explain when to get the shots you need, and when to miss the shot.